There are all kinds of dog lovers out there, including those who cannot have a pooch of their own due to financial constraints, physical limitations, or housing concerns. Even if you cannot foster, adopt, or make a financial donation, you can still help the pups at your local shelter and the staff who work hard to give them better lives! Non-profit organizations like public shelters and private rescues are in constant need of supplies, products and services from their community. Many of the most valuable things on their wish lists are items you may already have lying around the house, objects you can create using DIY skills, or simply kind gestures that require little more than your time and good will. 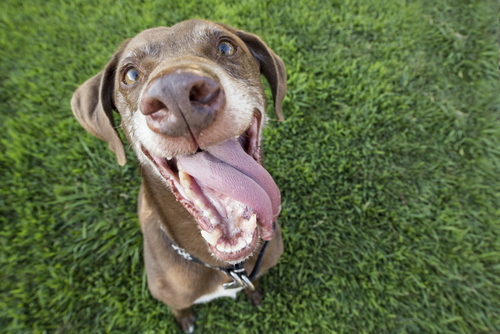 Here are 14 totally free ways you can offer support to your local shelter and the wonderful staff who care for the animals awaiting their forever homes. 1. Donate unwanted household items. Do you have old towels or blankets that no longer match your decor? Bring them to the shelter! It doesn’t matter how faded or out of style they may be, as long as they serve the purpose they were created for, your local shelter or rescue facility can use them. 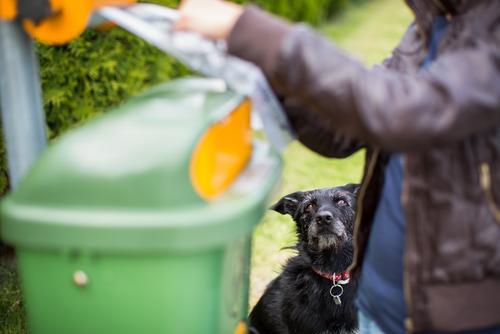 Perhaps you have cleaning products that you can’t stand the smell of, or you have supplies from a previous pet – donate them! Animal shelters are always in need of disinfecting wipes, spray cleansers, paper towels, hand sanitizer, and gently used pet supplies such as food and water bowls, beds, toys, leashes and grooming products. The primary concern of shelter staff is the care, feeding and hygeine of the pets under their supervision. It can be difficult for them to get to some of the secondary cleaning tasks like washing windows, cleaning bathrooms and scooping poop from the play yards. Volunteering your time and janitorial skills even once a month can take a huge weight off the staff’s shoulders and create a cleaner, brighter picture for potential adopters visiting the facility. 3. Offer landscaping or gardening services. 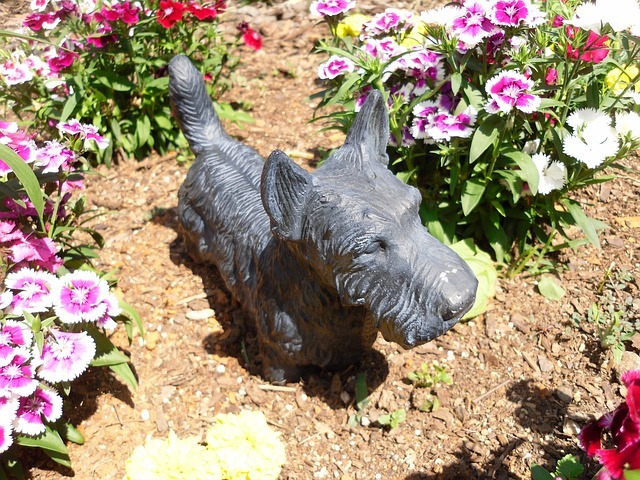 Many people have a green thumb for flowers and plants or enjoy the precision that comes along with landscaping. If this sounds like you, why not offer your talents to keep the shelter’s exterior looking beautiful? You can mow, plant, trim, or prune the existing landscape or help replenish the substrate (mulch, sand, etc.) inside the fenced exercise pens. The shelter staff walk and exercise the pups in their care as often as possible, but every moment outside of their kennel means the world to a shelter dog. 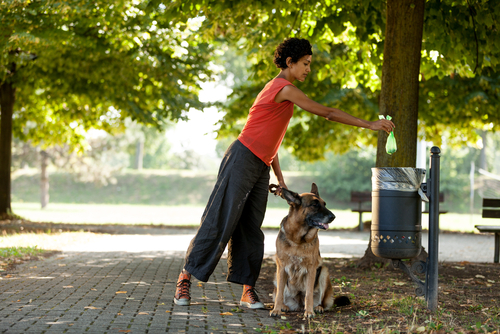 Whether you go for a long stroll or toss a ball in the exercise yard, the activity, fresh air, and human companionship will do wonders for their mental and physical health. Some shelters allow volunteers to “rent-a-dog” so they can take them off property on a fun-filled adventure. Others even permit overnight visits. Ask the staff which dogs are most overlooked for walks and visits, then choose one to spoil with a day of snuggles, snacks and freedom from the cage! You don’t have to be a professional photographer to take amazing photos of shelter dogs. With all the modern advancements in digital cameras, taking adoption-inducing puppy pics is a “snap”! High-quality photos have proven effective at helping shelter dogs find homes time and time again. This now-famous “Grumpy Dog” was adopted thanks to the attention garnered by his adorable shelter photo shoot. If you have a nice camera and consider yourself an amateur shutterbug, round up some fun props – like colorful bandanas, bowties, flower wreaths, etc. – and lend your skills to some deserving dogs! 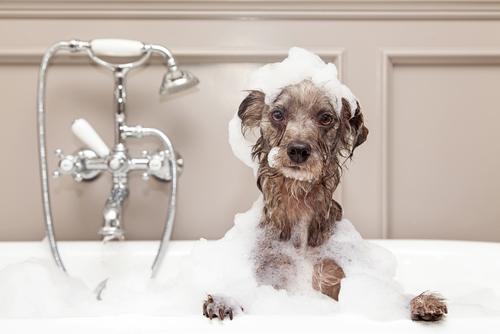 Clean, sweet-smelling dogs are far more likely to catch the attention of potential adopters than stinky, dirty pups. If your local shelter has weekend adoption events, consider going in on Friday afternoons to bathe some of the dogs that will be attending. 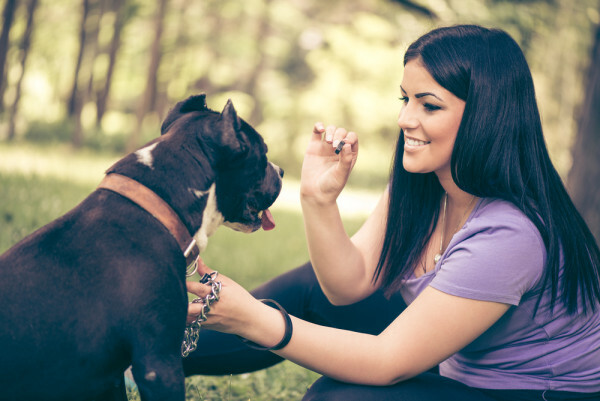 Volunteers with additional grooming skills are even more valuable to animal shelters. Professional dog grooming is expensive, but the right haircut can make all the difference in helping a pooch get noticed. 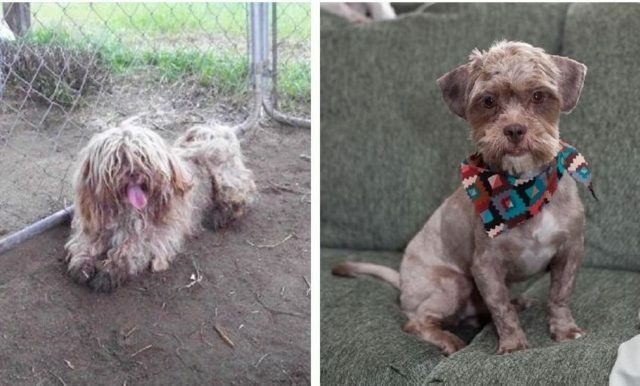 Check out these before and after shots of one of my rescue dogs, Finch! 7. Read to a pup. Some people adore dogs, but think they cannot be of service to their local shelter because of physical limitations. This couldn’t be further from the truth! Simply sitting with a dog in a quiet spot away from the noise of the facility can work wonders. Many shelter dogs are shy and frightened around strangers which can make them appear unfriendly to potential adopters. Low key, one-on-one attention from a volunteer helps improve social skills and self-confidence. 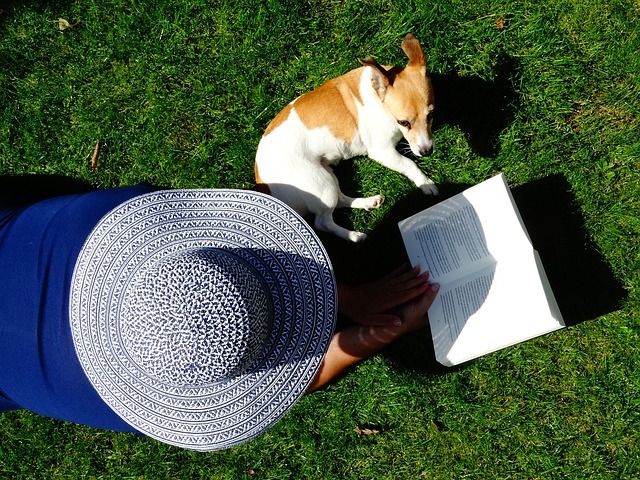 Simply bring along a book, choose a pooch, and find a comfy spot to snuggle up together! 8. Like, follow and share on social media. 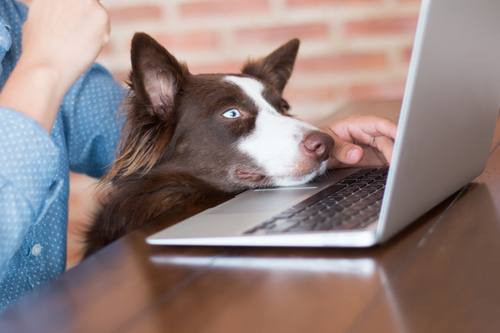 In the information age, social media presence is essential for animal shelters. In fact, many dogs find their forever homes through social media postings. You can help get the faces of available shelter dogs in front of more potential adopters by liking, sharing, and interacting with their posts. 9. Make them your AmazonSmile recipient. Amazon.com has more than 300 million users, but many do not realize that their everyday purchases can benefit their favorite cause or charity – at absolutely no additional cost! 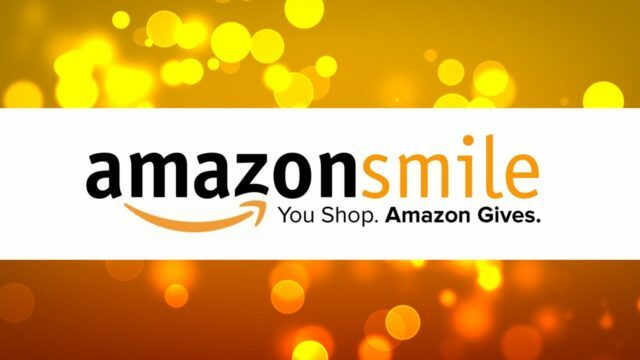 Shop at smile.amazon.com for the same low prices and huge selection, plus the added bonus that Amazon will donate a portion of the purchase price to your favorite charitable organization. With more than one million organizations to choose from, you are sure to find one of your favorite canine rescues to support! 10. Help organize a fundraising event. Animal shelters often partner with local bars, restaurants, and entertainment venues to put on fundraising events. For a small fee, guests get a pancake dinner, a wine tasting, or entry to the local zoo, and the proceeds go to the shelter. These events often have additional features like doggy fashion shows and silent auctions to increase the fun – and the donations! 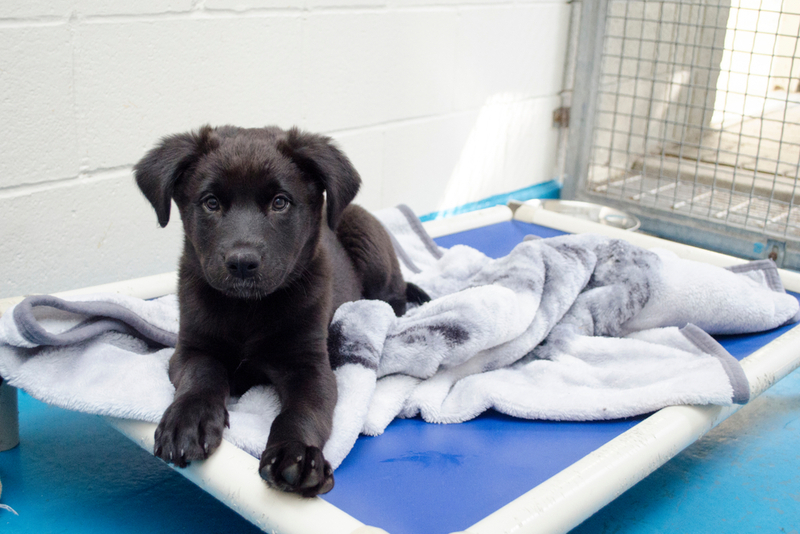 If you know of an establishment that would be perfect for a fundraising event, take the initiative to approach them and help coordinate the details on behalf of the shelter! You can also use Facebook Fundraising or GoFundMe to create an online fundraiser benefiting the shelter. 11. Send a thank you card. 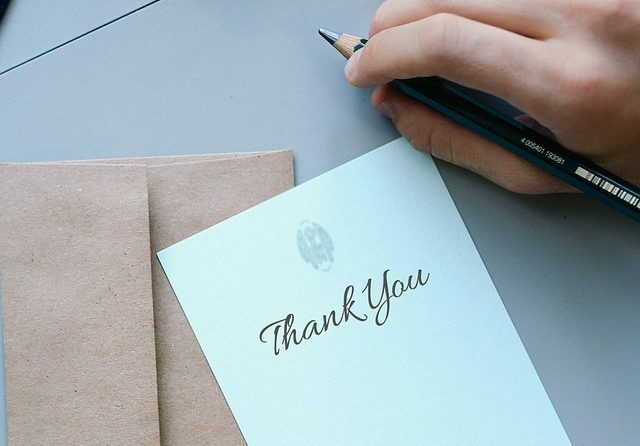 Believe it or not, the simple act of writing a personalized expression of your appreciation can mean the world to your local shelter staff. Their jobs are incredibly stressful, physically demanding, and emotionally draining. Often, it can feel as if their hard work is overlooked and under-appreciated. If the folks at your local shelter go above and beyond for the dogs in their care, break out your stationary and let them know! It is guaranteed to warm their hearts and brighten their day. 12. Make DIY bandanas, sweaters or dog toys. If you love crafting or are handy with a sewing machine, shelters are always happy to receive homemade gifts. You could make stylish bandanas, cozy sweaters, or durable dog toys using items you already have around the house. 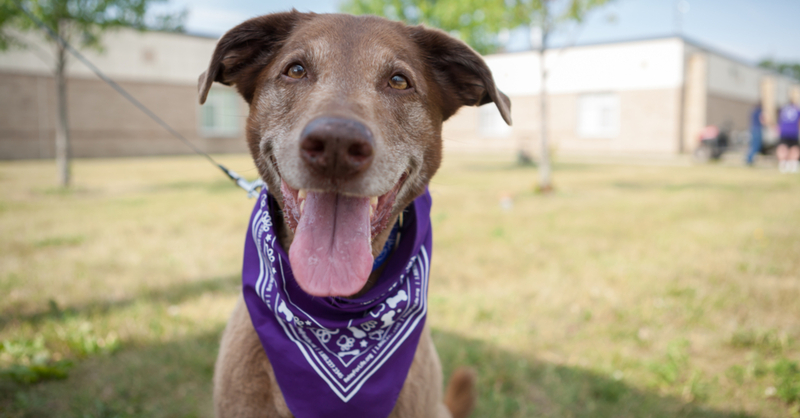 Brightly colored and cute patterned bandanas help make shelter dogs look more approachable and can be simply made by cutting out triangles of fabric in various sizes. For more sophisticated over-the-collar bandanas, check out this tutorial. 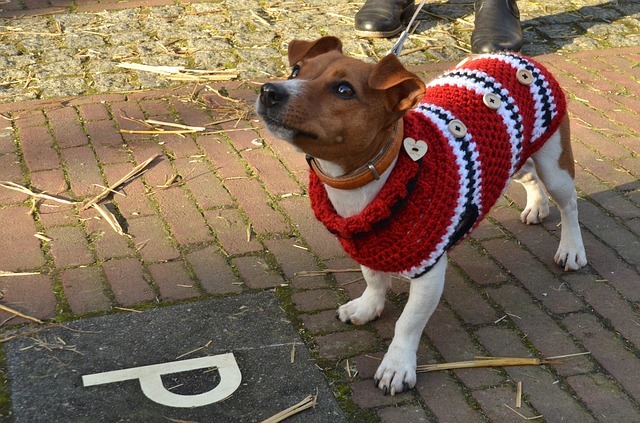 Sweaters do more than just make adoptable dogs look adorable, they serve the important function of keeping them warm during the chillier months. Shelters can be drafty, and senior and small breed pups are especially susceptible to the cold. There are more complicated patterns for talented sewers, but this simple no-sew DIY dog sweater can be made from the sleeve of an unwanted top or the pantleg of an old pair of sweatpants. Easy as pie! DIY dog toy tutorials can be found all across the internet, but when it comes to shelter pups, durability matters. These 17 toys are made from upcycled household items and designed to hold up to tough chewers. *For the low cost of a single toy, you can provide a second one totally free to a shelter pooch! Through our Project Paws program, iHeartDogs has already donated more than 118,000 toys to shelters across the country! Learn more here. 13. Bring a basket of homemade goodies – for humans, dogs, or both! 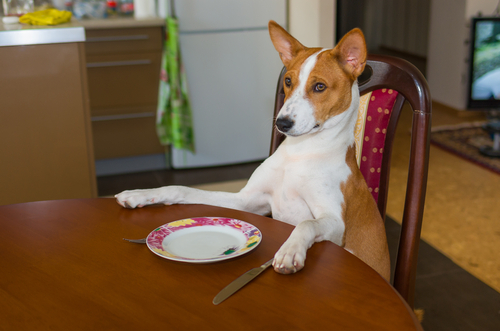 Busy animal shelter employees are lucky if they manage to find five minutes to gobble a burger on-the-go. 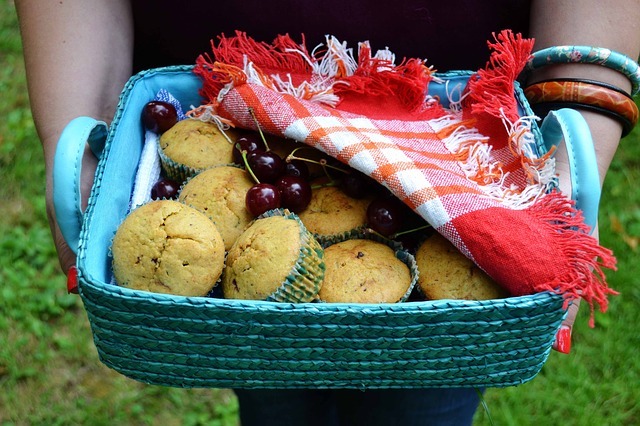 A basket of homemade treats from a community member will make them feel appreciated while also providing some quick, handy snacks. Tuck in a few store-bought or homemade dog treats to let the pups know you’re thinking of them, too! 14. Advocate for the cause. Did you know that shelters are often limited in how much they can help by outdated ordinances and insufficient budgets? Help your shelter by rallying support from your elected officials and the community at large. Learn more about advocacating for animal shelters here. If your local shelter is doing amazing work, make sure they are receiving all the grants, special programs, and benefits they possibly can. iHeartDogs partners with GreaterGood.org to help shelters and rescue organizations receive free pet food as well as structural and cosmetic renovations. Through the Rescue Bank program, shelters receive high-quality, nutritious pet food absolutely free. This allows them to use their limited funds elsewhere – like important veterinary care for ill and injured pets. If your shelter is not a Rescue Bank recipient, help them learn about the program and apply here! The Rescue Rebuild program provides much-needed makeovers – sometimes from the studs-up – to outdated facilities across the country. 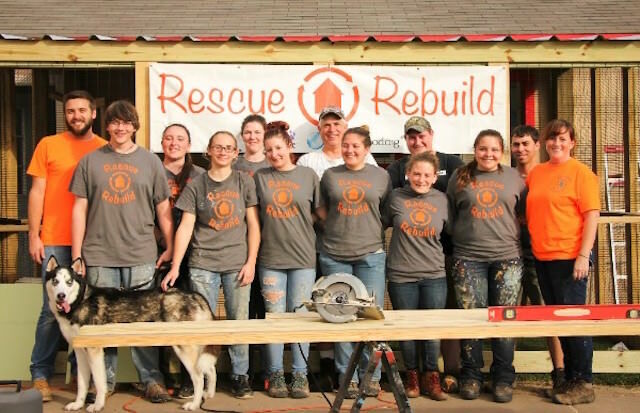 Know a shelter in need of a rebuild? Help them learn about and apply for the program here!